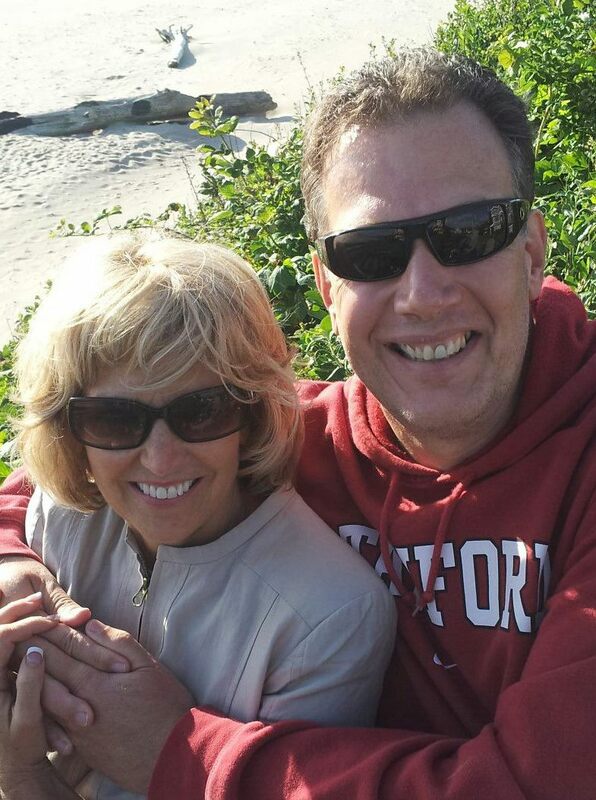 For 26 years Greg Mauro (r) has served as vice-president of ministries for Dr. Morris Cerullo. While we live in a world that celebrates jumping from one relationship to the next, faithfulness has taken a back seat to self interest. And sad to say the church world appears to be not far behind as Christians hop from one church, from one ministry, and one message to the next. All motivated by the bottom line — what’s in it for me and what’s best for me. Like honor, faithfulness is big in God’s eyes yet certainly not valued highly in the day and age we live in. Faithfulness is defined as “adhering firmly and devotedly, as to a person, cause or idea; steady in allegiance or affection; loyal; constant”. By the grace of God, 2013 commemorates my 26h anniversary of answering the call to stand by the side of Dr. Morris Cerullo. Have there been times that my commitment to the relationship has been tested over a quarter of a century? To say that there haven’t been would be unrealistic. The key to faithfulness is knowing the will and the calling of God. Someone once said, you are either called or you are crazy! If God called you to serve another man’s ministry, if God called you to marry your spouse, you can always go back to that original calling as the bedrock of your commitment to faithfulness, especially during the trying times. Above all your commitment to faithfulness is not only to another person but it is first and foremost to the high calling of God in Christ Jesus for your life. While this verse clearly lays down the divine qualification for receiving that which is your own, I personally have never viewed this scripture as a license to see my service to Dr Cerullo as some kind of spring board to my own ministry. Over the years I have turned down many opportunities that I felt could be seen as taking advantage of the platform that Dr Cerullo has entrusted to me. I have simply preferred under God to endeavor to remain single minded and to stay faithful one day at a time to His call and to His servant, and have already received so much more in the process than I could ever have asked or hoped for. I know, and you can too, that your future will take care of itself as you remain faithful to God, His kingdom and to your mentor. The Four Letter Word That Will Sentence You To Success! 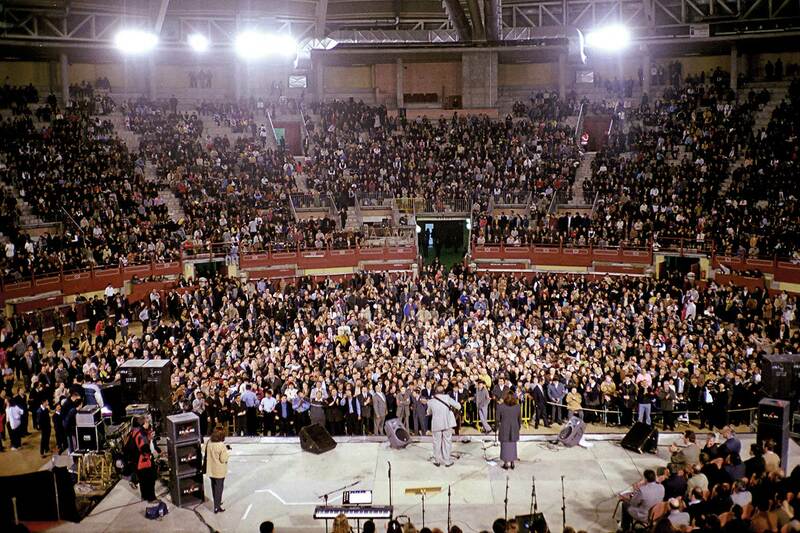 2001 Morris Cerullo Madrid, Spain Crusade at La Cubierta where golf ball size hail stones fell inside this covered bull ring for serveral minutes as Dr. Cerullo preached! 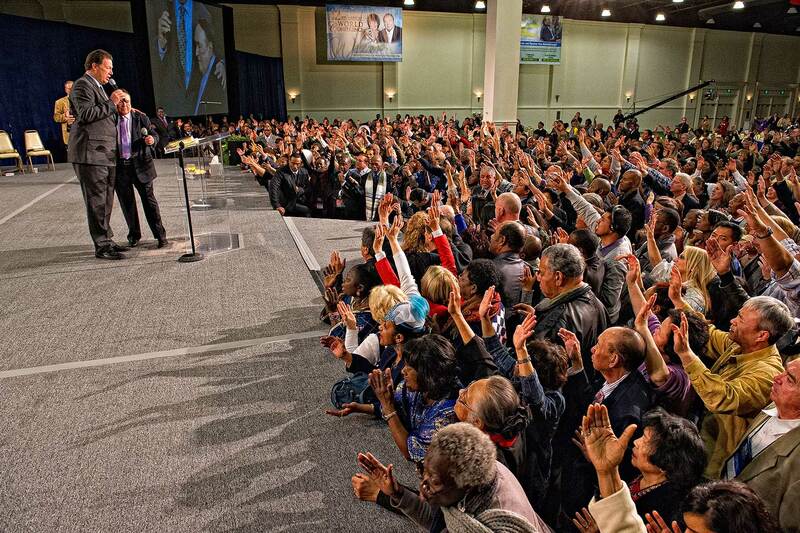 One of the most dramatic supernatural signs I have witnessed in 26 years of ministry with Morris Cerullo. Yes, there is a four letter word that will sentence you to success as your serve another person’s ministry: O-B-E-Y! Obedience is coming under the authority of your mentor. In other words, submission. Elijah’s charge to Elisha, “If you see me when I am taken from you…” speaks of Elisha staying connected and paying close attention to his mentor. 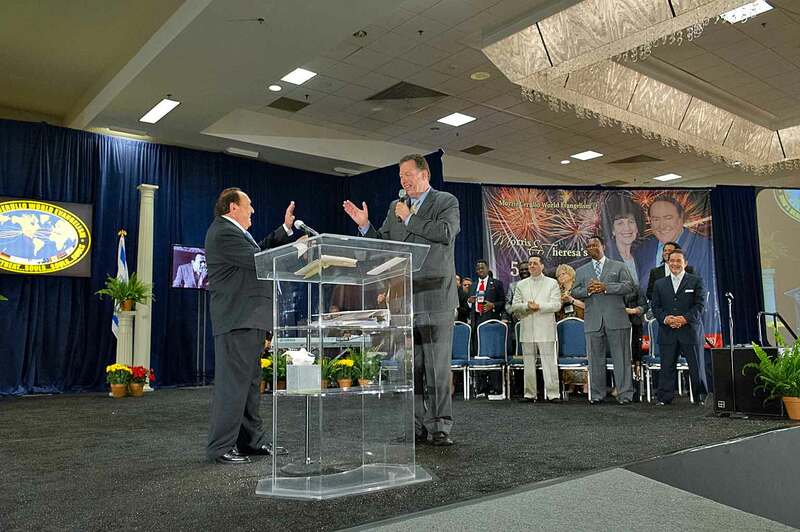 Let me share a true story that illustrates the blessing of obedience to your mentor…For years God had been speaking to Dr. Cerullo’s heart that a time was coming that He was going to use our ministry to shake the nation of Spain. Sure enough the time came and I received an invitation from a precious pastor in Madrid asking if Brother Cerullo would come to the Spanish capital. All together these twelve pastors had a combined attendance of maybe 600 people. 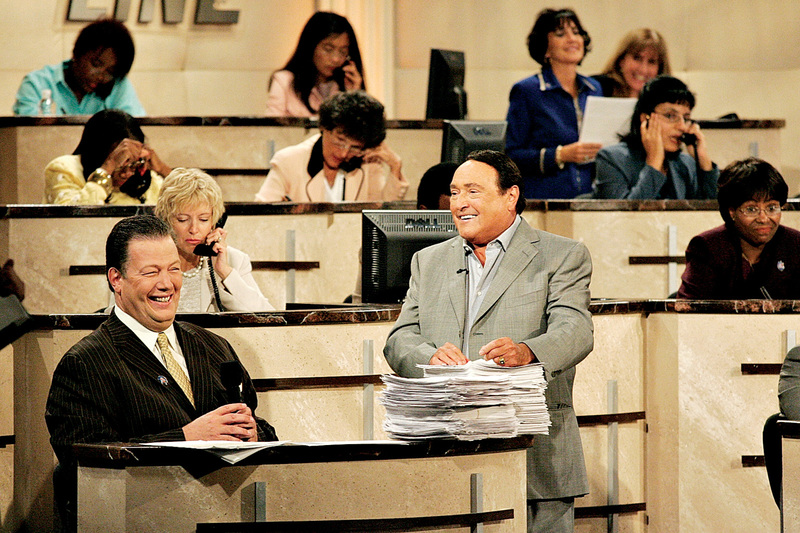 As per our policy, I always call Dr. Cerullo before leaving a city to give him a report. I went back to these men with these words and you could see their hearts and their heads sink in fear at the challenge of filling a bull ring. They asked if Brother Cerullo would come and conduct the meeting in the auditorium first and then build toward a larger meeting in a bull ring the following year. I extended my stay in Madrid and reluctantly they took me to look at bull rings in Madrid. We settled on a brand new bull ring with a retractable roof called “La Cubierta”, which translated means “the covering”. La Cubierta seated 12,000 people! Well the day of the crusade came. The pastors met me early for prayer and to help organize the set up. Then we had our ushers and workers meeting at 4PM. At 5PM we opened the doors as the pastors were now seated on the platform praying and hoping for the best! To their shock and amazement the people began to stream in two hours before the meeting was scheduled to begin. By 6PM there was not a vacant seat in the La Cubierta bull ring! As the powerful anointing of the Holy Spirit and the sound of Spanish praise and worship filled the covered bull ring, I introduced Brother Cerullo. 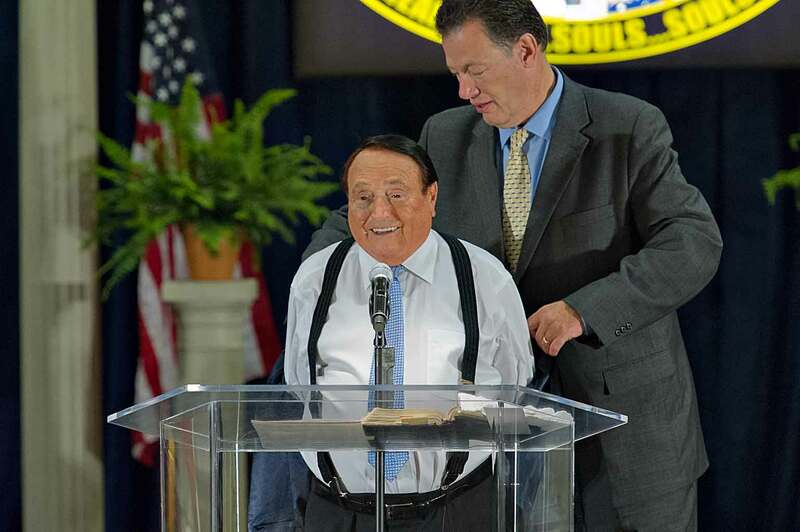 “I greet you tonight in the Name that is above every name, Jesus Christ the Son of the Living God”, Brother Cerullo proclaimed as he held his Bible high for all to see. Golf ball sized hail began to pelt the platform and the entire audience that were assembled inside this covered bull ring!! I looked up to the heavens and all I could see were sheets of white hail continuing to fall for several uninterrupted minutes. Yes, hail stones were falling inside a covered bull ring! Morris did not miss a beat. He continued to minister as though the conditions were perfect. I covered Mrs. Cerullo head with my jacket. Soon plastic was over the sound equipment and keyboard. Umbrellas popped up all over the bull ring. The prophet of God continued to preach. Finally the hail subsided. I was now able to see that the roof was most certainly in place the whole time. There was no other explanation: the hail was nothing less than a supernatural sign and manifestation from Jehovah! And it all started with one of the most important secrets that will unlock the blessing of God over your life and ministry…obedience! Ready To Soar As A Proactive Servant? 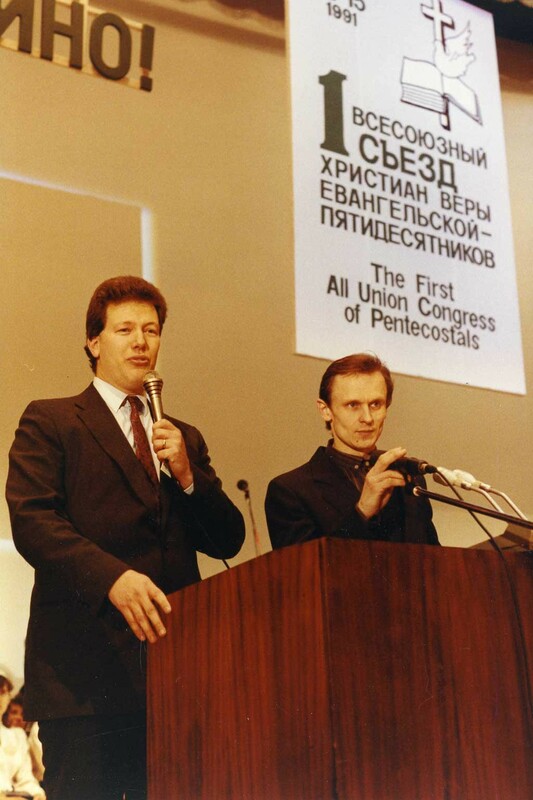 Privileged by Dr. Cerullo to teach in our 1991 Moscow School of Ministry, back when I was skinny! One of the great privileges and most rewarding opportunities you can experience serving another man’s ministry is found in the secret of being a proactive servant. A proactive person is defined as one who “creates or controls a situation by causing something to happen rather than responding to it after it has happened”. A fruitful, effective disciple is much more than an order taker. After proving yourself faithful over time a foundation of trust is established which is the key ingredient required to move from a relationship of simple service to becoming a proactive partner. I will never forget Moscow, 1989. For 14 consecutive years prior, from the platform of the world renowned Royal Albert Hall, Dr Cerullo prophesied Russia’s iron curtain would come down and the Soviet Union would open in an unprecedented way to the preaching of the gospel. In the late 1980’s that is precisely what began to happen as a movement for the democratization of the Soviet Union referred to as “Perestroika” was being championed by then General Secretary of the Communist Party, Mikhail Gorbachev. The beep of the fax machine at my desk in our European office in the Fall of 1989, signaled an incoming communication. As I began to read, I discovered that it was an invitation from the President of the Russian Pentecostal Union, Rev Bilas Roman, asking Brother Cerullo to be the first to come to Moscow in the Perestroika era to conduct an open public crusade. Immediately I shared the invitation with Dr. Cerullo and made flight arrangements to meet with Rev. Bilas and his leaders to begin to make the plans for this historic invitation. We settled on a date in December at the historic 7,000 seat Izmailovo Auditorium in the outskirts of Moscow. When the time came, I arrived in Moscow with Dr. Cerullo the day before as he was scheduled to appear on the Moscow News that evening. An interview that was set to fill a one or two minute segment was mightily visited by the presence of God and extended to nearly 30 minutes! The host was so deeply touched that she asked Dr Cerullo to pray for the viewers to receive the miracle of salvation, and then followed that with a request for Dr Cerullo to pray for all viewers that were in need of physical healing. That night when our interpreter returned to his apartment, he was met by his elderly atheist neighbor who waited for him to return, to testify that when Dr Cerullo prayed, she experienced a deep heat in her back and an immediate healing from years of a debilitating spinal condition! Right there on her porch, she prayed with our translator to receive Christ as Savior! The next afternoon, even after opening the doors three hours early and filling the Izmailovo Auditorium to capacity, the crowds were still ten-deep encircling the entire arena with great expectancy and frustration that they could not get in. The police insisted that the church leaders convince Dr. Cerullo to cancel the meeting so that they could disperse the people, who had now begun to damage the property, breaking panes of glass, etc, in an effort to force themselves into the building. The top leaders approached me and requested to speak with Dr Cerullo about the security problems and to make the request that he postpone the meeting. My job was to not disturb Dr Cerullo with a negative report before a meeting, but to simply solve it myself so that he is able to stay focused and uninterrupted prior to the service. This was an opportunity for me to be proactive and not disturb the servant of God who was in his customary time of prayer, fasting and preparation for the meeting. With the Russian leaders standing before me shaken, I quietly prayed for God’s wisdom. What if we take the many boxes containing 5,000 brand new Bibles we had delivered in the arena to give to the new converts, and take them outside to the people that couldn’t get in with the promise that Dr Cerullo would come back to Moscow again soon in a larger stadium for another meeting? The leaders shook their heads in agreement. We handed the boxes of Bibles to the police who brought them out to the people. The people scooped the Bibles up as if they had just won the lottery! They were happy to receive them and peace was restored when they heard that Dr Cerullo would return to Moscow for another meeting in the near future. That night was one of the most glorious services I have ever been a part of. As Brother Cerullo brought the simple message of the gospel, nearly all of the 7,000 present received the greatest miracle in all the world, the miracle of forgiveness of sins and the healing of their souls through the salvation of the blood of Jesus Christ! Several months later we returned to Moscow, this time in the 15,000 seat Olympic Stadium, for three capacity nights – nearly 50,000 precious Russians combined giving their lives to Christ! As the mentor/mentee relationship grows over time, you will know the heart of the man or woman you are serving and what he or she would expect in certain situations. This knowledge makes you a much more valuable servant and you are able to move from a place of simply waiting for instructions to becoming a creative contributor to the overall vision and purpose of your leader and their ministry. 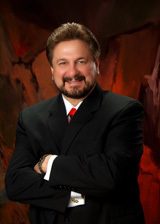 While Dr Cerullo is the unquestioned visionary and strong spiritual leader of MCWE, one of his great strengths as a mentor is his humility and expectation that his key team members operate with an authority and spiritual license to bring their creative ideas and input to the table on any and all aspects of the ministry. It takes the investment and trust of a great mentor to know when and how much authority his servant can successfully be released to handle. A man can only truly be responsible and accountable for the success of that which he perceives he has authority for. Some of the most successful outreaches of MCWE through the years were a result of the synergy between Dr Cerullo and our team that fueled our passion and creativity to bring “God ideas” and suggestions to our leader — many that were implemented with great spiritual fruit. However, a word to the wise: Be ready when bringing an idea to be willing to become responsible for personally filling it! Are you ready to take your next step in serving another person’s ministry? If there is a need in your church or ministry that you see is not being filled, maybe it is God calling you to be proactive and volunteer to fill it — and not waiting for someone else to do so — or for you to be asked! Now is your season to soar as a proactive servant! Flexibility: A Serving Secret That Will Sentence You To Success! Serving as co-host with Dr. Cerullo on Morris Cerullo Helpine from CBS Studios would not have happened without the blessing of God realeased through the serving secret of flexibility! When I left the ORU chapel that Spring morning, I was certain after my experience with God, that when I called the Morris Cerullo World Evangelism offices I would immediately be asked to travel and minister with Dr Cerullo. Well, that’s not exactly how it worked out! “All the ministry positions are filled, but we did just post a job opening for a cost accountant”, I was advised by the MCWE Personnel Manager, Glandon Broome. Now I had transferred into ORU after two years studying at the University of Notre Dame, where I was on a full academic scholarship. When I met with the ORU Admissions Office I asked them to evaluate my credits and advise me the best track to pursue that would utilize my Notre Dame credits to the fullest. I was advised to transfer into a major in Business Administration. I chose Accounting. But from day one I said to myself (and to the Lord), I will study Accounting but I will never be an accountant! I was at ORU to be prepared to reach the world for Jesus, not to be an accountant! Now with Glandon on the other end of the phone line presenting this accounting position, I felt like Job. The thing I had greatly feared was coming upon me! I reluctantly let him know that I was about to graduate in a few weeks time with a degree in accounting and that he could send me an application. I was hired less than a week later. My first two years at MCWE I served as a cost accountant. I grew to love it. God helped me discover a State of California tax law that retroactively returned to the ministry tens of thousands of dollars in taxes paid on printing that MCWE was exempt from. On the weekends I carried a ten foot cross around the city of San Diego. Soon one of the newspapers carried a story which Dr Cerullo happened to see. One day in the interoffice mail I received a personal handwritten note from Dr Cerullo letting me know how proud he and Theresa were of me. Soon I was invited to speak in our weekly MCWE chapel. A few weeks later I was called into the office of the VP of Accounting. He informed me that Dr Cerullo wanted me to pray about a move. I thought it was an organizational move, but to my surprise it was an offer to move me and our family to London to head up our European office and ministry outreaches. I served as the European Director for MCWE for six years. 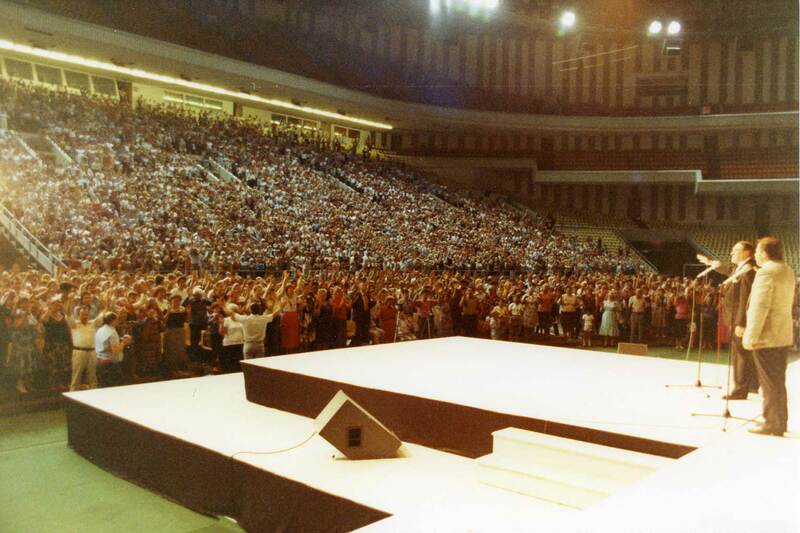 During these years, the communist curtain came down and Dr Cerullo was the first to be invited to Moscow to conduct a three day crusade from the Olympic Stadium that saw over 50,000 attend and gave their lives to Christ in three nights. The nation was shaken. 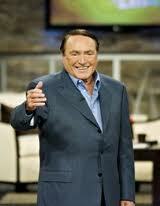 Privileged by Dr. Cerullo to teach in our Moscow School of Ministry, back when I was skinny! While I served in Europe, MCWE was the first Christian organization to be granted a license to broadcast in the UK and Europe. As a result millions were reached by our Victory program on the European Super Channel. 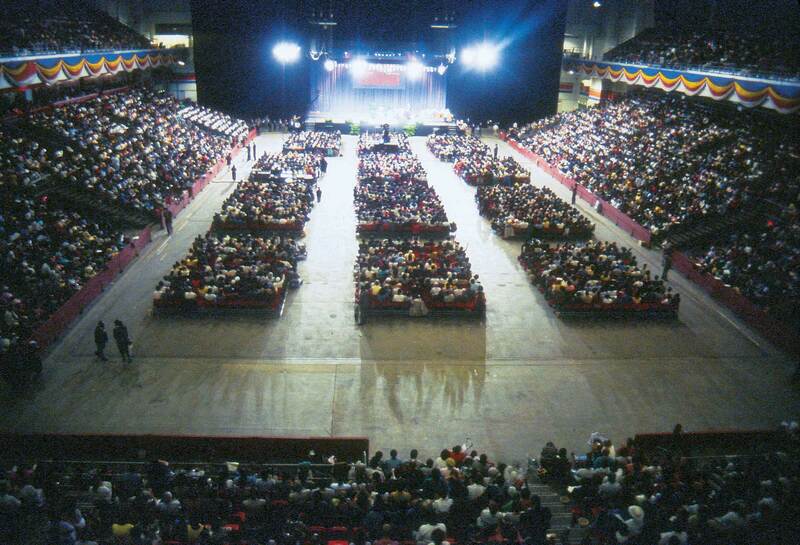 God spoke to Dr. Cerullo about launching Mission To London, which for six consecutive years drew capacity crowds for our one-week long events at the world famous 16,000 seat Earl’s Court Auditorium and shook Great Britain to the core. Many of Britain’s mega churches of today were born in Mission to London. The Eastern European nations opened to Dr Cerullo. It was during a preliminary visit I was making to Bucharest, Romania to meet with pastors that through a series of miracles I was spontaneously given the opportunity to preach to 200,000 demonstrators that were convened in the University Plaza in the heart of the Romanian capital. I was the first believer to ever address this massive demonstration with a gospel message, which were a nightly occurrence in the wake of Caucescu’s overthrow and execution. I was told that for months after I left, every night thereafter a time was given for the demonstrators to hear a gospel message from a local pastor. The breakthroughs I have been privileged to be a part of would not have been possible if I hadn’t been willing to be flexible and to say yes to the opportunity to serve as an accountant and enable God to plant me in the place that He would cause me to prosper and fulfill His purposes. That parking attendant ministry — the church bus driver — the “gopher” at your local church — the need you may or may not be overly excited about filling — whatever great or small opportunity there is to serve — could be your proving ground — and your opportunity to show yourself faithful so that God can begin to use you in ways you could only dream of. And for me, flexibility will always continue to be a secret of releasing the blessing and favor of God, especially as you serve another persons ministry. Being called upon to do things that will only succeed with God’s help and blessing will stretch you and grow you if you don’t avoid those opportunities to serve when they are presented. 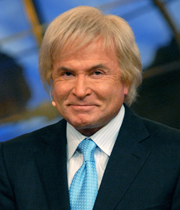 Like when Dr Cerullo asked me on a one day notice to be his on air co-host for our worldwide prayer reality program “Helpline” that for three years was filmed from CBS Studios and received over 1.5 million calls for prayer, with tens of thousands praying the prayer of salvation for the first time. Those that know me know that I have never sought after or been comfortable in the forefront. To be asked to carry the co host duties for Helpline, emcee our major events, lead singing, etc – all have been challenges to me to move out of my comfort zone, be obedient, be flexible – and then watch the blessing of God flow again and again. Be flexible. Then watch the miracles of God flow as you follow him into unchartered new territory. Blessed are the flexible. Step by step, each step will be a miracle! 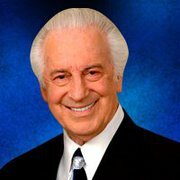 DR. MORRIS CERULLO “It has been one of the great joys of our lives for Theresa and I to watch the anointing of God increase upon Greg’s life these past twenty five years.Greg has become more than a blessing – he is a dear spiritual son and an extension of my ministry. His life has literally demonstrated the message in the pages of “The Blessing of Serving Another Man’s Ministry.” He has flourished as he has served and received the impartation from my life and ministry to his. Those that come under the special anointing imparted in this book truly become an extension of what it really means to be a disciple of Christ. 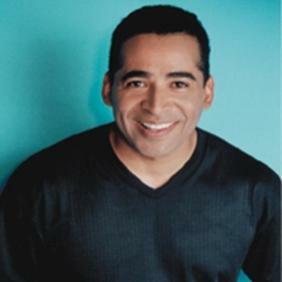 God called Greg as an accounting student from Oral Roberts University with a passion to reach the world for Jesus, to come and join the Morris Cerullo World Evangelism team in San Diego in 1987. 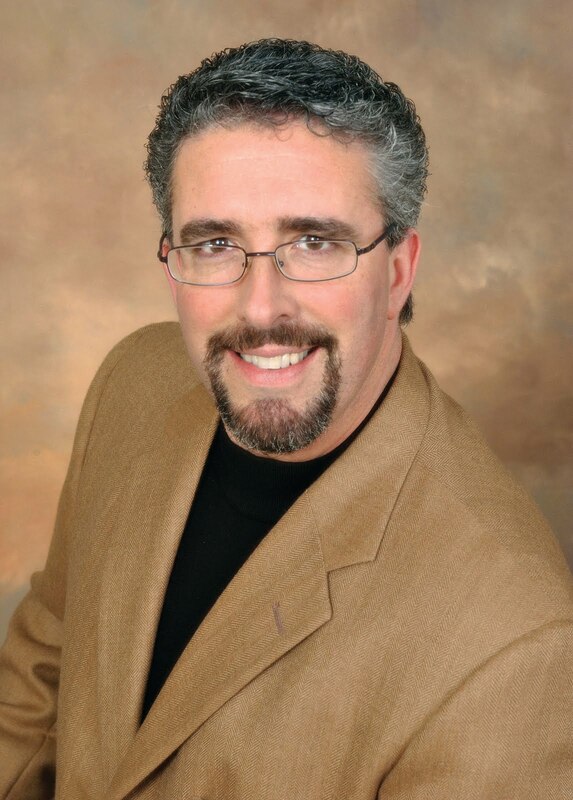 Over the years, Greg has served as my crusade director, television co-host, writer, accountant, media buyer, marketing and public relations man, emcee of my conferences, and most of all my associate minister. Ever pastor – leader – believer — that wants God to use their life in a greater way – will be deeply blessed and enriched by the encouraging words of this book. 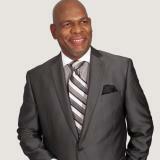 APOSTLE MIKE EFEZINO “ The blessing of serving another mans ministry ” is a mini book with a mega punch. DR. T. L. LOWERYThank you, Greg Mauro, for writing this valuable book about investing one’s life in the ministry of another. 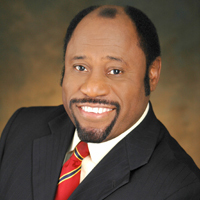 Like your mentor, Morris Cerullo, my longtime friend and colleague, God has given me the honor of preaching to hundreds of thousands in the United States and around the world, writing dozens of books, using radio and TV for His glory, administering schools and a foundation, and otherwise fulfilling my calling. I confess that my ministerial efforts have been immensely enhanced and enlarged because faithful helpers have followed their calling to work alongside. Only heaven can reveal the multiplication of ministry made possible by men and women who may have subordinated their personal dreams to dedicate their talents and abilities to another of God’s servants. May their tribe increase! DR. SYDNEY STAIR“The Blessing of Serving Another Man’s Ministry” by Rev. 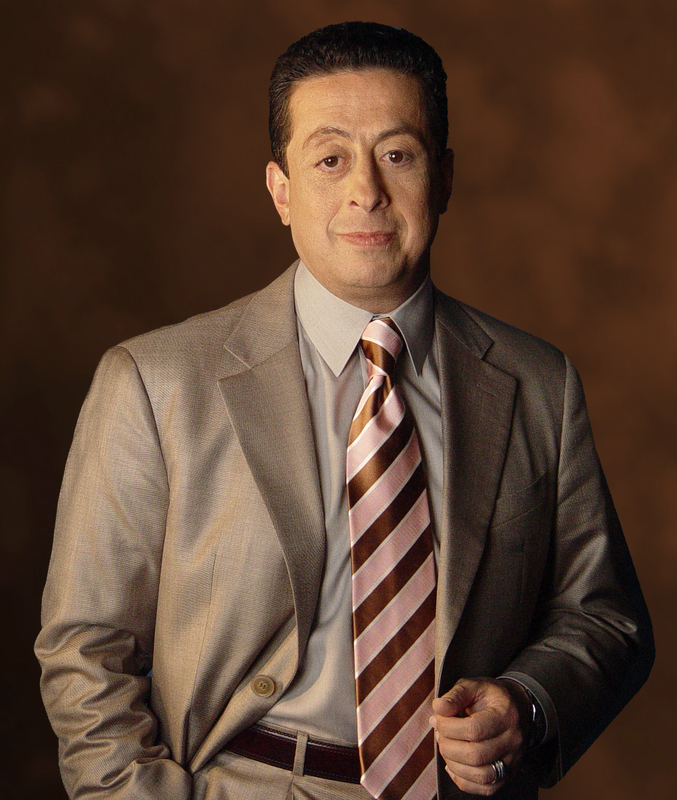 Greg Mauro could not be timelier. My heart is sadden when I pause to observe this present generation and wonder what would become of their grandchildren if moral values, honor, character and a spirit of service are not reinstituted back into the homes and schools of our society by and large. I’ve known Greg for more than a decade and I’m a personal witness that every one of the 7 secrets he shares in his book is absolutely true and based on his life experience standing alongside Dr. Morris Cerullo in ministry. For Greg, serving Dr. Cerullo’s ministry is not a job, but a delight, because he does it whole-heartedly and he’s available 24/7. I recommend this book to every person who is now starting out in ministry. 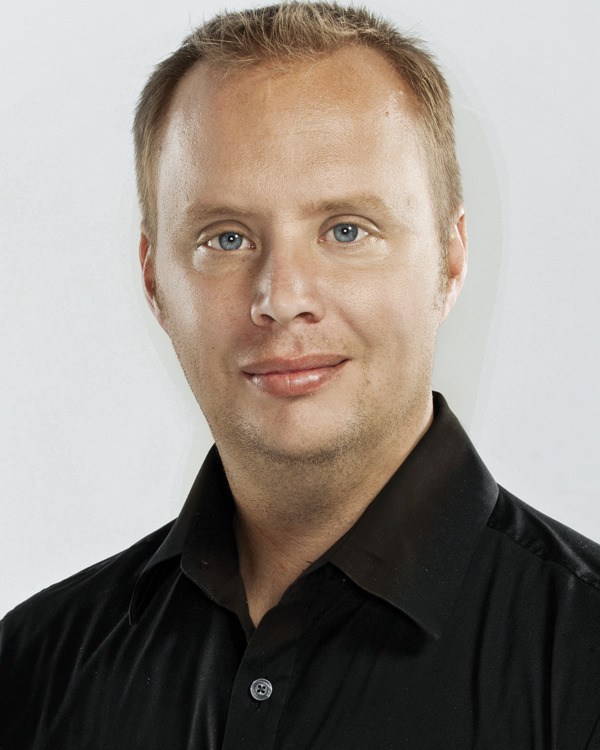 Just like Greg said, these seven secrets will sentence you to success. 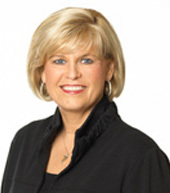 PASTOR SHARON DAUGHERTYThis book will inspire and challenge you as a reader to allow God to use your life as a servant. Greg’s personal story along with his wisdom from experience shows how God calls people together creating a team that can impact the world. He shares the fulfillment and blessing of following the call of God to serve a leader and advance the Kingdom of God here in the earth. Honor: The Serving Secret That Will Sentence You To Success! I knew a man very well that went to work for a major ministry. He quickly worked his way into a position of leadership in the ministry. Whenever he was in the presence of the president of the ministry he was the picture of honor. From serving the man water, juice, etc… to buckling him in his car, to displaying the most incredible outward show of honor and respect once could imagine. But when he was not in the presence of the mentor he would second guess and make ever increasing disparaging remarks. This man had a hidden agenda. 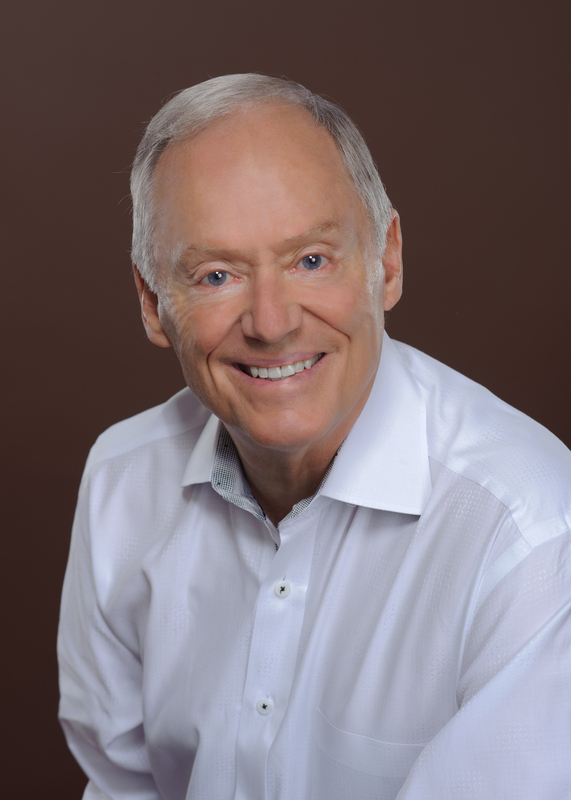 He was operating under the deception that he would one day take this man’s ministry, which sadly he eventually attempted to do through a five year series of frivolous and totally unsuccessful lawsuits against his mentor. Today this man is completely out of the ministry while the mentor is thriving, reaching the world for Christ. Honor is much more than an outward display or lip service. We serve a God who puts a high premium on the character trait of honor. Yet we live in a day where there is an apparent dearth of honor both inside and outside the church. Simply defined honor is high respect toward someone or something. How can we expect the blessing of God as we serve another person’s ministry without a heart felt, abiding, sincere honor and respect for our mentor? Honor is referred to directly or indirectly over 400 times in scripture as a command in both our horizontal (with our spouse, employer, children, those in authority, etc) and in our vertical (with God the Father, the Son and the Holy Spirit) relationships. Every dysfunction can be traced to a lack of honor for authority. A great man once said, “All truth is parallel”. Not only will we be blessed in the “land” that God has given us when we honor our natural parents, but the same honor is a condition of God’s blessing as it relates to our spiritual leaders. We live in a generation that openly celebrates dishonor and disrespect. Sad to say that dishonor and second guessing of our leaders runs rampant in the church today. Something as simple as referring to our pastor by his or her title and not simply on a “buddy buddy” first name basis that so many today feel is appropriate under the misguided belief that there is no difference between the laity and the clergy. Do you think over familiarity with your spiritual leader/mentor can lead to disrespect? It did for Aaron and Miriam. (Num 12:1-2) And the Lord called Aaron and Miriam to task on it immediately! The Bible tells us that the Lord was very angry with them, and struck Miriam with leprosy! Some of the most “super spiritual” believers are the ones that have the biggest struggle with honoring their leaders as they feel that they have arrived and are on equal footing with anyone. While it is true that we are equal in relationship to God, we are different in function, and God expects that difference to be honored. God expected it of the children of Israel and He still expects it today. A return to biblical honor of our spiritual leaders is an indispensable key that will begin to release a new dimension of the blessing of God into your life, your family and your ministry. Are You Called To Serve Another Man’s Ministry? The walking bridge connecting the student parking lot to the bustling campus of Oral Roberts University, where the grandiose buildings and space age architecture were a daily reminder to the thousands of us students of Dr Oral Roberts charge to “Make no small plans here”. The time: Twenty five years ago. With a mere six weeks remaining before graduation, and with a dream in my heart far bigger than myself, I was ready to go from this incredible place of preparation to be used by God to fulfill the Great Commission and reach our world for Christ. Serving as a youth pastor in a local church, as a worship leader in another, carrying a 10 foot cross and sharing the gospel with whomever would listen across Tulsa, preaching on the streets, outside bars, leading evangelistic teams to Florida’s beaches during Spring break to witness to the masses of college students that swarm there from across the country — now coupled with my ORU experience, I was ready to spread my wings and take the next exciting step in God’s unfolding plan. I drove my old car from the student apartments to campus, parked in the lot outside the Mabee Center and began my trek to class. Done it hundreds of times. Grab my books, slam the car door closed and begin my brisk walk with a spring in my step to be sure I get to the first class of the day on time. But I was soon to find out that this day would be unlike any other. Students scurrying to class by the scores walked past me as I stood still at the mid point of this small bridge. Perhaps a minute passed, and now I was standing alone on the bridge. Unexpectedly stopped by a wonderful presence and challenged by the unmistakable voice of the Holy Spirit. I stood motionless pondering this heavenly proposition. A few straggling students passed by on the bridge I’m sure wondering if this skinny 6′ 9″ motionless statue of a fellow student had lost his marbles! Knowing how I responded to this divine moment would surely set the course for God’s future plans for my life. To present a “what would you think?” question, and not some “thus saith the Lord, you will do such and such…” command! Serve someone else’s ministry that had the same heart as I do. Be more effective for the Kingdom of God. The more I mulled it over, it was a clear no brainer! Two weeks later, the ORU chapel service guest minister was introduced to the students, worldwide evangelist, apostle, prophet, Dr Morris Cerullo. As this servant of God spoke from the words of John 6:28 “What must we do that we might work the works of God”, the Mabee Center chapel shook as the anointing of the Holy Spirit was poured out mightily upon the students. On my knees in that ORU chapel service, I could not have imagined the blessings that God had in store these past 25 years serving as the vice-president of Ministries for Dr Morris Cerullo. Now on my fourth passport, having been privileged to have seen millions saved, healed, set free, receive the impartation of the anointing and being used by God on every continent…yes, there is unquestionably an incredible blessing waiting for those that will rise up to accept the calling to serve another man’s ministry. To do so we will have to rise above a culture and an era that celebrates the entrepreneur, the self-made man or woman that blazes his or her own trail. 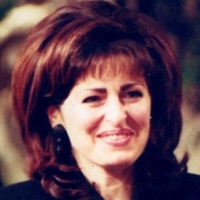 That same spirit has permeated the church, particularly the independent, Charismatic segments, where we are frequently bombarded with all the messages, encouragements, “words from the Lord” and marketing tools to launch your own ministry – get ordained – start your website – launch your own worldwide ministry and go! If we agree that there is a calling to serve another man’s ministry, then it is my prayer that many will rise up from their church pew as a spectator each Sunday and find an exciting, blessed place of service along side the ministry they are a part of. “People approach the church with pretty much the same consumer mentality they bring to the shopping mall — you better deliver the goods, be nice and user-friendly, or I’ll simply take my business elsewhere. The concept of servant hood and faithfulness, sacrifice and dependability seems to be a thing of the past, or at least something that doesn’t apply to church anymore. The desperate need in all sorts of Christian ministries is for those who will dedicate themselves to the ministry of helps, a rather inglorious sounding title, but listed in order right after miracle and healing ministries in the above text. The Greek word translated “helps” means “to lay hold of, so as to support.” In other words, a minister of helps is someone who commits himself to another ministry in order to support and assist in any way he or she can. Is there a Barnabas, a Silas, a Timothy, an Aquila/Priscilla reading that is ready to serve the next Apostle Paul? Or a band of mighty men ready to serve the next David? An Elisha to serve the next Elijah? 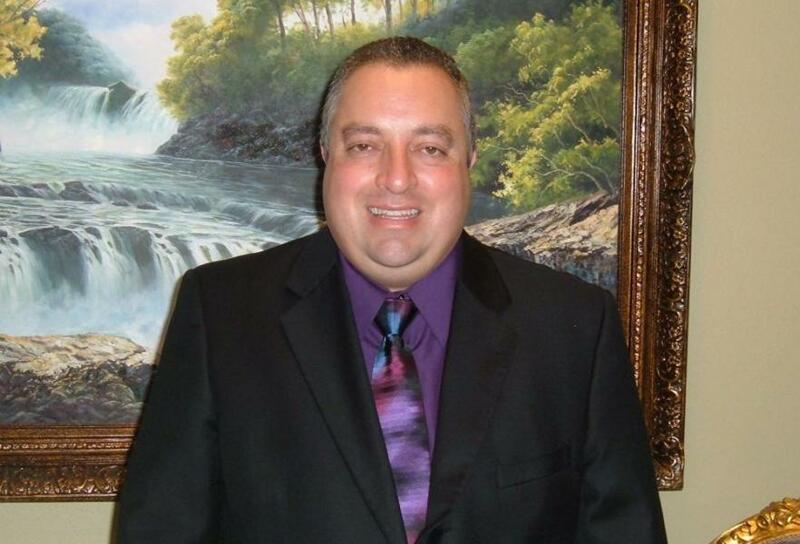 Or the next Kenneth Copeland that will serve the book table of the next Oral Roberts? God has ordained an amazing journey for you and secret number one to experiencing this incredible blessing is settling the question once and for all – yes, as a New Testament Christian, I am called to serve another man’s ministry.